Bombardier Transportation was investigated in South Korea over corruption allegations but never charged, CBC&apos;s French-language service Radio-Canada has learned. A task force led by Korean prosecutors alleges that Bombardier, based in Quebec, offered gifts and trips to Canada for civil servants and politicians who decided to choose Bombardier&apos;s technology for an elevated train system. When the project was first announced almost 15 years ago, it was said to be worth more than $1 billion. The train system that began operating in 2013 is now a financial burden for the taxpayers of Yongin. Yongin, the 12th biggest city in South Korea, has an impressive elevated train, which runs for 18 kilometreslinking the Seoul subway system to a large amusement park named Everland. The train is similar to Vancouver&apos;s SkyTrain but there is a major difference – it only has a single car. "We thought it was going to be a metro, but the Yongin train has only one car, so we could say it&apos;s more like a bus," said Hyun Geun-Taek, a lawyer who filed legal action on behalf of the citizens of Yongin. The "bus" is expected to cost taxpayers $3.5 billion over the next 30 years, including maintenance. The city chose the elevated train, proposed by a consortium led by Bombardier, because a government agency predicted a ridership of 183,000 passengers a day. That projection was exaggerated, according to a Yongin city councillor. "[It&apos;s] a ridership so inflated, we can say it&apos;s a joke," said Yoo Jin-Sun. It turned out the ridership prediction was way off. When the train entered service in 2013, there were fewer than 10,000 passengers a day. The public-private partnership between the city of Yongin and the consortium prompted prosecutors to launch an investigation. A special investigation unit alleged that Bombardier offered gifts and trips to the civil servants who made the ridership forecasts and recommended the company&apos;s technology. "Between 2003 and 2005, Bombardier paid three trips to Canada to 37 people — flights in business class, luxury hotel, golf, sightseeing," alleged Geun-Taek, adding that 18 Yongin city councillors also travelled to Canada for so-called "LRT [light rail transit] field trips," courtesy of Bombardier. The company has consistently denied the corruption allegations. "They were not pleasure trips. There is a need to convince the people that our technology works well ... If it had been corruption, they would have charged us," said Serge Bisson, the vice-president of systems in northern Asia for Bombardier Transportation. The prosecutors also alleged that Bombardier created a $2-million slush fund for an employee, Kim Hak-Pil, who is a high-ranking executive in South Korea and a Canadian citizen. Korean investigators suspected the slush fund money was used for lobbying civil servants and business partners on other projects in South Korea. "What I know is that we didn&apos;t make illicit payments. We did not bribe anyone," Bisson said. 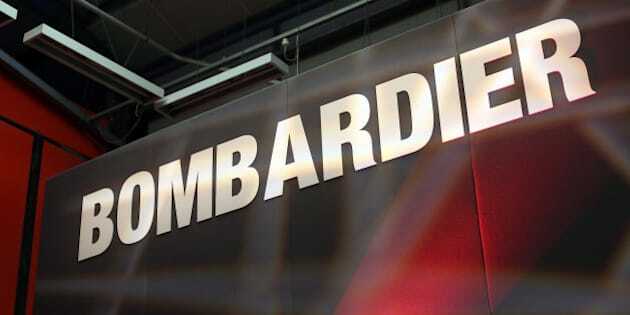 No charges were laid at the end of the investigation due to the statute of limitation according to prosecutors, while Bombardier said it was because there was a lack of evidence. The city had to make drastic budget cuts in education and welfare programs, such as heating for seniors&apos; community centres. "It&apos;s a scam on the edge of legality. That&apos;s what I think," said Korea national assembly member Kim Min-Ki. As the city of Yongin struggles to repay the debt associated with the train system, Bombardier is still making money. The company charges the city about $26 million a year in operation and management fees. Bombardier has an operation and maintenance contract that can last 30 years.